Instructions: first, find the journal’s publisher – it is usually written at the bottom of journal’s webpage or in the “About” section. Then simply enter the publisher’s name or its URL in the search box above. If the journal does not have a publisher use the Standalone Journals list. 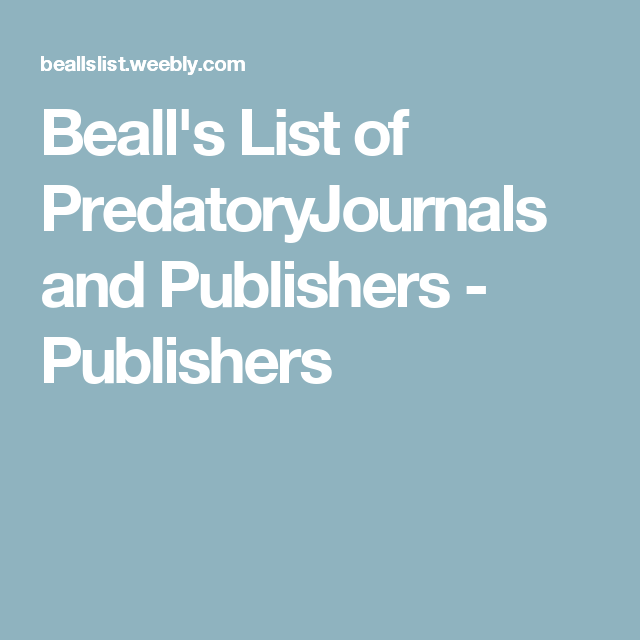 Here we include publishers that were not originally on the Beall’s list, but may be predatory.